BEST WESTERN Ottawa City Centre Blog: Celebrate traditions both old and new in Ottawa! Celebrate traditions both old and new in Ottawa! Ottawa has plenty of fantastic traditions. Come experience a very old one and a very new one this April! Is there anything more Canadian than maple syrup? There’s a reason that the Canadian flag features a red maple leaf – the rich taste of maple syrup is inextricably linked the warming of the Canadian winter, a sweet relief from the cold. That’s why we need to celebrate when the sap of the maples starts to run, giving us the year’s bounty! 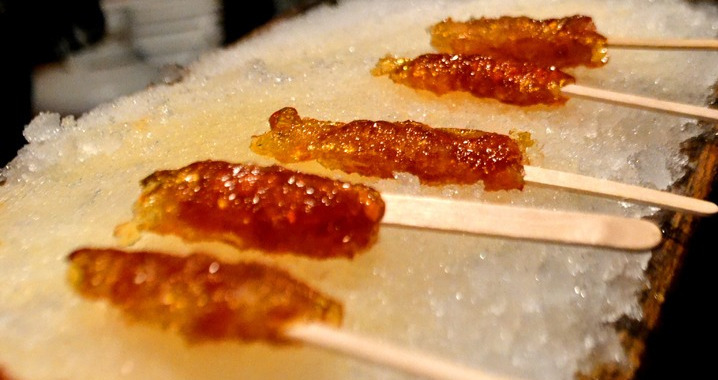 The Ottawa Sugar Festival is a celebration of maple syrup and the Quebecois tradition of the cabine de sucre. Take a trip to the Vanier Museopark April 6 and 7 for a traditional Canadian breakfast, live music, a chance to meet (and maybe pet) some VERY good sleigh dogs and most importantly enjoy some maple taffy! Hot syrup is poured on pure, white snow and rolled up into a sweet treat that you’ll be instantly nostalgic for, even while you’re eating it! It’s a quintessentially Canadian experience and not to be missed! If you’ve been paying attention, you know that some of the most beautiful and compelling cinema in the last few decades has come from Latin America. The works of Guillermo del Toro, Alfonso Cuarón and Alejandro González Iñárritu are some of the most exciting films Hollywood has produced in a very long time, and the next generation of directors from Mexico, Argentina, Chile and more are every bit as promising as those luminaries! Catch the next wave of Latin film in Ottawa from April 12 to May 1 at various venues throughout Ottawa! Ottawa is FULL of traditions. One is walking through the Byward Market in the heart of downtown and finding all sorts of delightful things – and if you want to stay just steps from Byward, book a room at the Best Western Plus Ottawa City Centre!